How much do you spend shopping online every year? If you’re one of the many millions of Americans who spend an average around $1800 on online shopping, you could save that much, or more, using the tips and tricks you’re going to learn today. We all enjoy the convenience of online shopping. But, while online shopping can definitely save you time, and it’s great to be able to purchase stuff in your PJs, it can also get pricey. Fortunately, there are many tried and tested things that you can do to save yourself some cash. Below, we’ve compiled our best online shopping hacks that will easily save you an extra $500 (or even more depending on your shopping habits) per year. With online shopping, you probably assume that everyone’s getting the same prices that you are, but, unfortunately, that is not always the case. Most online retailers have the ability to collect all sorts of information about your browsing habits, simply by using tracking tools, like cookies. Cookies are small files, which are saved to your PC, that function in the background, as you browse. These files cannot only monitor the sites that you visit but also the duration and frequency of these visits and how much you spend. Using this data, retailers can then estimate how much you’re willing to pay – and if they think that you’re more likely to pay higher prices for the same item or service than someone else, then they will adjust the prices. For example, if you frequently look at the same flight, then the Airline will be sure that you want to fly, and they’ll charge you more. Essentially, they will target you with higher prices for the things they believe you really want – this is known as dynamic pricing. One of the easiest ways to avoid higher prices is to simply use the incognito window or private browsing feature of your web browser, which will block third party cookies. You could also use a VPN or a proxy service, to mask the country that you’re browsing from. Another way to effectively prevent paying more is to use one browser to search for the items you want, and a different one to actually purchase those items. A lot of retailers will send out coupons that give you huge discounts via their newsletter. So, if you sign up to their newsletter using a number of different email accounts, then you’ll get more codes and save yourself, even more, cash. Who knew you could save money by abandoning your shopping cart? Retailers always want to close deals. So, if you leave items in your shopping basket, they’ll often take steps to ensure that you follow through with your purchase. Often, they’ll send out coupons, discounts, and other deals that offer you a better price. Many retailers, like Macy’s and Bed Bath & Beyond, offer better deals if you leave items in your cart. Remember, that you must be registered with the retailer and be signed into your account when you leave you cart. If a website allows you to use more than one coupon or promo code, then take advantage. By using multiple coupon codes and promo codes strategically, you can save yourself a great deal of cash. For example, if you have a promo code for 30% off and a coupon for $5, then use the promo code first and then the discount coupon second. That way, you get even more savings. Many online merchants, like Amazon.com, offer affiliate marketing programs. These programs will pay you every time someone purchases something through your affiliate link. Simply sign up to an affiliate marketing program, like Amazon Associates. Then, ask your friends and family to use your affiliate links when they buy something. You’ll then get paid a percentage of each sale. You could also have your friends sign up as affiliates, so they can get commissions when you shop through their link. It’s always frustrating when you purchase an item one day, only to discover that the next day, it’s on sale. Fortunately, some companies, like Amazon, will refund the price difference. All you need to do is contact their customer services, within a certain amount of days, and request a price-drop refund. Amazon, for example, will provide you with a refund if you request it within seven days from the delivery date. Who has time to keep an eye on prices of everything you buy, right? If you’re like me and can’t, or don’t want to, keep track of price drops manually, there is a fantastic tool that can help. This tool automatically checks your Amazon account, and wherever it finds a price drop, it issues a refund request to Amazon on your behalf. All you have to do is link your email address to it. It does everything else for you. Many credit cards, like the Citi Double Cash Card and the World Elite MasterCard, provide price protection. This means that the bank will refund you the difference if the price drops, as long as it’s within a certain number of days. No matter where you shop if your credit card offers price protection, you’ll be able to get price drop refunds. A really effective way to save money online is to use cashback sites. 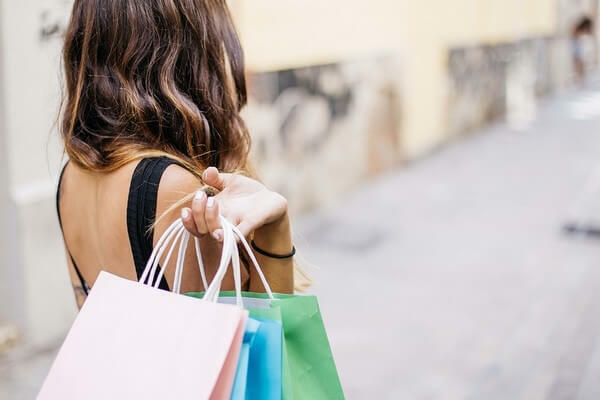 Sites, like eBates, will give you a percentage of your spending back, and many also provide discount codes and exclusive coupons, which you can use to save even more cash. With eBates, you can save between 1% and 25%, with the average saving is between 2 to 4%. If you frequently purchase things online, then consider becoming a member of a free shipping site, like FreeShipping.com. This website offers free shipping for more than 1,000 online retailers. It also provides price protection and double warranty on the items you buy. FreeShipping.com offers a free trial, but once that’s ended it costs around $5.99 per month. If you purchase multiple items each month, free shipping services can really save you money in the long term. If you frequently purchase the same items on Amazon, like laundry detergent, for example, then you could save some cash with the site’s “Subscribe and Save” feature. With this feature, you simply subscribe to any product you want to repurchase, like coffee or shampoo, and then you’ll get automatic deliveries, free shipping and a discount on the item. 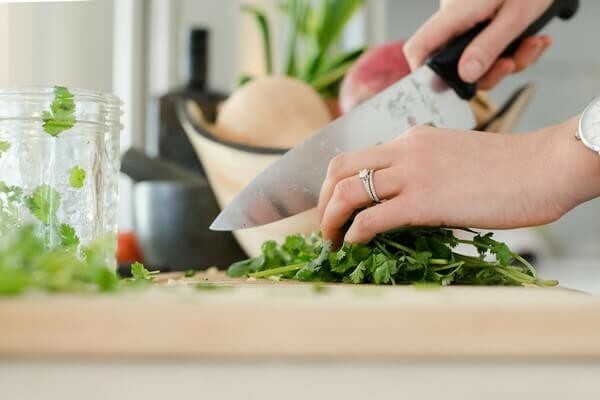 This not only saves you time and effort, as the ordering process is now automated, but it can also save you a lot of money on the things you frequently buy. One of the most useful money saving tools for online shipping is Honey. It’s a free browser extension, which will automatically search for coupon codes. When you reach the checkout, simply click on the Honey extension and it will automatically search for and apply multiple discount codes. This means that you can save money automatically, without having to spend time searching for deals and coupons. A website called Flubit could save you a great deal of money on your online purchases. The website, which is free to use, negotiates discounts for you. All you need to do is copy and paste a product link from Amazon, and the site will automatically generate a better private offer for you, which is for the exact same item, but cheaper. Unfortunately, Flubit only operates in the UK. Simply using a price comparison website can save you a great deal of money. Shopping comparison websites, like NexTag and Google Shopping, allow you to compare the prices of items both online and in-store, helping you save the most money. Comparing prices and using shopping comparison websites can save you money, but it can also be a bit time-consuming. If you’re too busy to spend time checking prices one by one, then use apps and extensions to do if for you. PriceGrabber.com, for example, offers an app that will automatically compare prices for a product. One of the most effective ways to save money when you’re shopping online is to avoid shipping fees, where possible. Often, retailers, like Amazon, will offer free shipping if you spend a certain amount. If you’ve not quite reached the minimum amount, then consider other items that you might need. For example, with Amazon the minimum amount you have to spend to get free shipping is $49. If you’ve spent $45, then consider adding in a small, inexpensive item, like shampoo or socks, which will get you to that threshold. You’ll save money on shipping, and you’ll have the items you need. Shopping online is quick, convenient and, in many cases, it’s also much cheaper. The downside with shopping online, versus shopping in-store, is that you can’t see what you’re buying in person. That means that something might look great online, but when you receive the item, it doesn’t meet your expectations. Fortunately, many retailers, like Nordstrom, offer free shipping on returns. So, if you’re not completely satisfied with something that you bought online, then you can return it and get a refund, without having to spend extra cash on shipping. A great tool for saving money when you shop online is Shop Genius. It’s a browser extension, which will automatically compare prices and show you the best deals when you’re on any product page. For example, if you’re looking for the perfect laptop case, and you find one you like on Amazon when you open up that product page, ShopGenius will show you the best deals for the same item online. A simple way to save yourself some cash when you shop online is to join loyalty programs. Many retailers offer loyalty programs, which allow you to earn money back on your purchases. These programs also offer discounts and other great deals. Just remember to enter your loyalty number when you shop. Sometimes, just having a little more patience can save you some cash. If you don’t really need an item immediately, then why not wait and check back daily for a couple of weeks to see if a new coupon becomes available or if an item goes on sale. By waiting, you’ll often find that better deals pop up. Did you know that for some items online, you can actually set your own price? It’s true. A website called Greentoe will assist you in getting products at a price that fits your budget. On Greentoe, you can shop for a wide range of items, from electronics to baby products. After you find a product you want, you simply enter the price you’d prefer to pay for the item, and the site will haggle with the company to get it for you. Greentoe claims to save consumers, on average, between 18 and 20 percent off of the recommended retail price. If you don’t live in the U.S., then you often can’t participate in free shipping offers, the cost of shipping is incredibly high, and many times the retailer doesn’t even ship to your location. Well, you can use parcel forwarding services, like Shipito. Shipito will give you a U.S. address, which you can use to avoid high international shipping charges, and take advantage of any free shipping that might be on offer. You do need to pay to use most package forwarding services, but it’s generally a fraction of what you’d pay in international shipping charges. Also, most services will give you the option to consolidate multiple packages into one shipment, which is more cost efficient. Before making a purchase, it’s always worth checking if there are any coupons available. Websites, like RetailMeNot and TheKrazyCouponLady, feature a variety of coupon codes for a wide range of retailers. Also, Amazon has its own coupons section, where you can virtually clip coupons. Many online retailers, like Amazon.com, frequently change the prices of products throughout the day. This means that you can end up paying much more, or much less, simply depending on the time that you make your purchase. Retailers, like Amazon.com, utilize dynamic prices, and will often increase or decrease the price based on customer demand. Often, the price of at item can fluctuate by 15%, just within a couple of hours. A great tool, called CamelCamelCamel, monitors price changes on Amazon. It offers price drop alerts, meaning you can see when a product is cheaper, without having to check Amazon over and over throughout the day. This tool also provides Amazon price history charts, which means that you can predict when it’s the best time to buy. Finding a coupon for a product you really want to purchase and realizing that it expired two days ago is pretty frustrating. But, did you know that you could actually get the coupon extended, or even receive a new promo code, simply by bargaining with customer service? Generally, sales reps just want to close the deal, so they’ll likely help you out if you ask. All you need to do is ring up or email customer services. It doesn’t always work, but it’s definitely worth a try. Consolidating multiple packages into one shipment can really save you money on shipping charges. Many online retailers, like Amazon, allow you to group multiple items together for shipping. Try to purchase all of your items at one retailer, and you’ll definitely save money on shipping. You can find some great deals and exclusive offers in catalogs. These exclusive offers can often be used online, so you can save money when shopping. A simple and convenient way to get catalogs is through Catalogs.com. Joining membership programs can save you money on your online shopping. Many membership programs only require a one-time fee or a small monthly fee, but provide you with discounts, which can offset the cost of the membership. For example, the BarnesAndNoble Membership program only costs $25 for the whole year, but you get a 10% discount. So, if you watch a lot of movies or read a lot of books, the membership fee would definitely be worth it. By simply using the right credit card when checking out, you could save anywhere from 2 to 5% on everything you purchase online. For example, the Target Red Card (which we talked about extensively in our recent guide on how to save money at Target) not only offers 5% cashback on everything you buy but also free shipping. Similarly, with the Amazon Rewards Visa Card, you get 3% cashback on items. There are also many credit cards that aren’t co-branded, which give you cashback. For example, the Blue Cash Preferred® Card from American Express gives you 1% back on all purchases. There’s no cost to open a credit card account either. Coupons are a great money saving tool on their own, but, combined with a discount gift card, they’re even better. Often, retailers won’t allow you to use multiple coupons on one item, but they will allow you to use a gift card along with a coupon. So, if you can purchase a discounted gift card, you could save yourself a fair amount of money when you’re shopping online. There are many websites that offer gift cards for 6% to 15% off of the RRP. Try Cardpool or Raise. If you want to save some cash when shopping online, then skip shipping fees, and utilize the in-store pick-up option instead. With this feature, you can pick the item up at the local store, without having to pay for shipping. Next time you’re purchasing something online, look out for this option and get your item delivered to your nearest store, rather than paying for it to be delivered to your home. Cashback credit cards essentially pay you back for shopping. With cashback credit cards, you get anywhere between 1 and 5% cashback on all of your spendings. For example, the American Express Amex Platinum Everyday Card gives you 5% cashback on your purchases for three months. Find items in your target price range and get automatic price drop alerts with LoveSales. This website allows you to add products you want to purchase to your LoveSales list, and then state a price that you’re willing to pay. You’ll receive an alert straight to your inbox when the product reaches your target price. Buying things out of season is still a great way to get some really great savings. Supply and demand have a huge effect on the price of products. In the spring, gas prices go up, while in winter the prices drop. In the summer, the demand for swimwear is high, but in the winter, that demand lessens. Similarly, coats are sought after during the winter months, but less so during the summer. So, buy at the right time and you could save yourself quite a bit of cash. Before you buy a product, it’s always best to check if you can get it for free first. There are many websites, like Freecycle, where you can find a wide range of products, from books to furniture, for free. Freecycle aims to divert reusable stuff from landfills and instead gift it to people that want it. All you need to do is sign up, which is free to do, and search for your local community. When you are shopping online, you should always check out the sale section of the store. Most online retailers, like Amazon, offer a clearance, sales or outlet section, where you can find a wide selection of vastly discounted products. Amazon Family is a great program offered to Amazon Prime members. With Amazon Family, you get a 20% discount on all diapers and baby wipes. You’ll also get access to a number of other discounts and offers. Best of all, you also get free shipping on many items. PriceBlink is a really useful tool to have when you’re shopping online. It’s a free browser extension, which offers coupon codes, reviews and price comparisons. You can use this tool to compare prices from other retailers all on the same page – meaning you don’t have to worry about monitoring multiple tabs. Savings Sidekick is a browser extension, which will automatically find cash-back offers and coupons for a wide range of online retailers. This extension, which is owned by CouponCabin, tracks cashback offers from almost two thousand online retailers, and displays these offers right above the retailer’s logo. In order to take advantage of these cashback offers, you must be a member of CouponCabin, but anyone can use the coupons it finds. With Giving Assistant, you can get even more cashback when you shop online. The site offers cashback for more than 1,000 online retailers, and best of all, with Giving assistant, you’ll get 100% of the cashback, as the site doesn’t keep any for itself. The average cashback on the site is 5%. By following your favorite brands on Facebook or Twitter, you could garner yourself some great savings on their products. Many retailers, like Walmart and Macy’s, post coupons and announce sales and deals first on their Facebook pages. So, don’t miss out and make sure you use social networking to find great deals. Simply joining the email list of your favorite retailers could save you money when you shop online. Many retailers, like Kohl’s, send out coupons and other special offers via their email newsletter. So, simply sign up and you can get some great coupons and deals that you otherwise would have missed out on. Online isn’t always the place to get the best prices. While many people assume that shopping online is cheaper, that’s not always the case. Sometimes, a retailer’s online price is more than its in-store price for an item. So, always make the effort to compare the online price with the in-store price. Before you decide to purchase an item, make sure that you do a quick search for it on Google. By simply just searching for the product you want on Google, you could find some fantastic deals and offers. There’s certainly quite a lot you can do nowadays to save yourself some money when you’re shopping online. So, before you make your next online purchase, make sure that you try out some of these money saving methods. 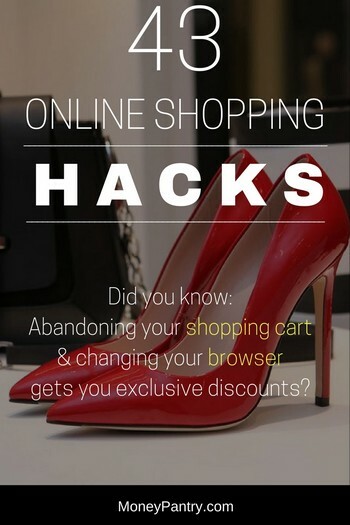 If you know of any other online shopping money-saving hacks and tricks, please let us know in the comment section below.